It is not just a disparity,but the one that touches and pierces the heart. Read more:NYSC for what? Concerning why medical Doctors and Pharmacist are paid much more than other corps member,hear what the director general says:' What you have to understand is it takes a whole lot to become a Doctor /Pharmacist. A Doctor /Pharmacist spends an average of 6/5 years in school. Then they proceed to do their one year housemanship /internship during which their net salary is an average of 120-200k. 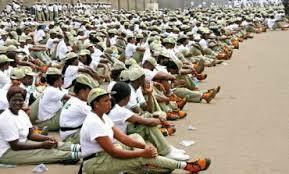 Apart from the heavy responsibility they have the idea is the increased pay as relative to other Corp members is a way to cushion the sharp drop in earnings during the youth corps. That aside the government can do a whole lot more for Corp members from other discipline..'. I wonder why it goes that way. It shdnt be so. Others past through universities. And that is why we have some uncalled problems concerning our academic sector. Everybody wants to be called a university graduant thereby neglecting polytechnics,colleges of education and monopolys. Every kids want to be a doctor. I think its high time we cancelled the University Education. OP Dont worry about it.. God has a way of balancing the scores..
After NYSC, Many of them no dey see that kind money again.. Meanwhile the others stand a better chance of getting good jobs. Abi, no be the same "spend more years in school" logic? We all appreciate the whole expressions of these wonderful people and their wonderful comments. Whatever you may feel,however,always remember that all fingers are not equal. In this life,some people will always be more gracefully favored in some ways,than others!! !